In 1834 six farm laborers from the Dorset hamlet of Tolpuddle fell foul of draconian Victorian laws prohibiting ‘assembly’. Today the names of George Loveless and his brother James, Thomas Standfield and his son John, James Brine and James Hammett, who made up the Tolpuddle Martyrs, stand high on the roll of British men who have been victimized for their beliefs but stood steadfast in the face of persecution. They refused to be persuaded to betray their principles either by the promise of release or by transportation to Australia. The Tolpuddle men fought to win their freedom sustained by their passionate conviction that their sacrifices would not be in vain. Their experience and example have proved to be an inspiration for future generations and they remain icons of pioneering trade unionism. The Author has thoroughly researched their story and the result is a fascinating and revealing reexamination of this legendary saga. Their triumph over legal persecution and abuses of power over 180 years ago is told afresh in this comprehensive and attractively illustrated book which delves deeper into their story than ever before. ALAN GALLOP is an author and journalist. In 1983 he founded his own PR company specialising in promoting organisations active in travel, transportation, freight logistics, public utilities and special events. 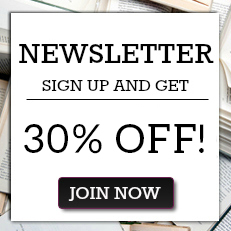 He now specialises in writing books about amazing people and the events which made them famous. He is married with two grown up children and lives in Surrey. 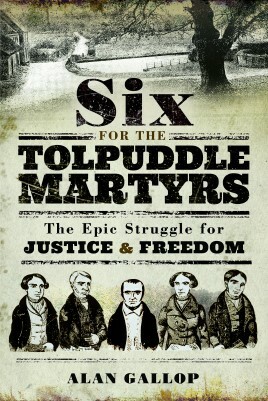 "History will record how successive tory governments, aided and abetted by the pathetic Liberal Democrats, sought to erode the rights of trade union workers - this magnificent acocunt of the Tolpuddle Martyrs should be required reading ro anyone thinking of entering politics at any level. One can imagine soeone like Rupert Murdoch and Ian Duncan Smith pulling the stirngs for the prosecution - such people have always existed, and don't really deserve to. An eye-opener on the first really important hurdle in protecting the rights of working people."